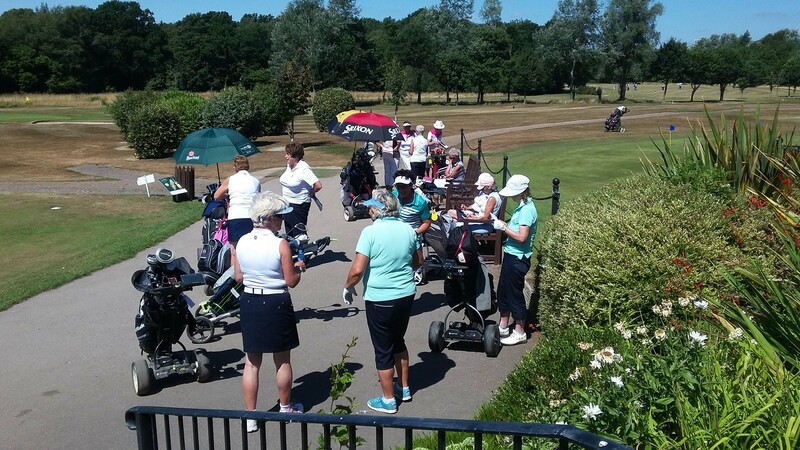 On a scorching hot July day, 53 pairs of ladies found Wellow Golf Club, nestled away in the countryside for the 2018 Foursomes Meeting. 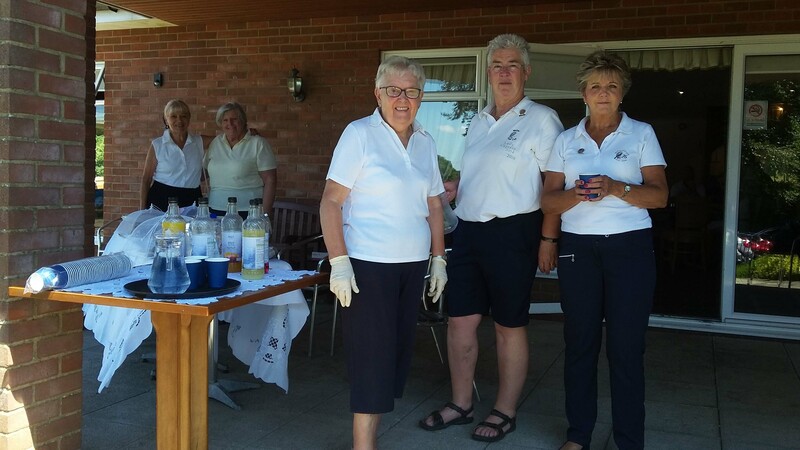 It did indeed turn out to be the hottest day of the year so far but everyone playing took the necessary precautions and all enjoyed the two courses Ryedown and Embley presented to them. Greens had been watered so scoring overall was very good and pace of play was excellent. One achievement, that I doubt will be repeated, is the partnership of mother and daughter Sonia Price and Mandy Yerbury from Rowlands Castle playing in this event together for more than 30 years and chasing the 2nd place they had when this event was regularly played at Stoneham GC. They came close last year with 3rd so 90 year old Sonia had a virtual lesson last week to prepare and warned her daughter she may be dropped for next year’s event! 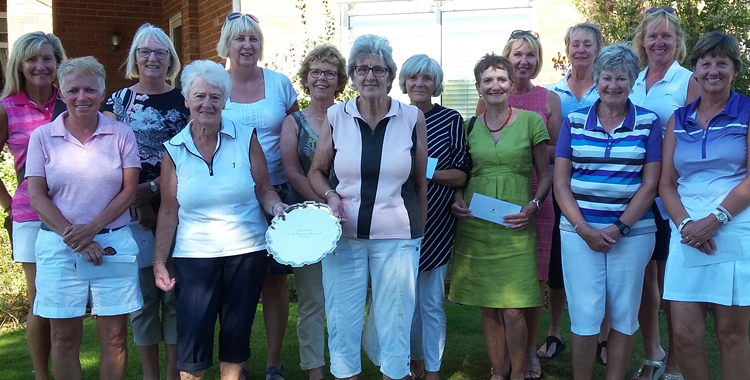 The ladies of Wellow were generous with their hospitatlity and refreshements halfway round led by Lady Captain Sue Wren and her charity The Rainbow Centre made £358 from all the generous ladies. Also, Billy Ray (Assistant General Manager) and all his staff were extremely helpful and it was a delightful day. The motorways and local roads caused traffic problems for some, so I am very grateful to those who persevered and took 2 hours to arrive and to those ladies (especially Jan and Jo from Blacknest and Sue Weeks from Wellow stepping at at the last moment) who allowed their tee times to be shifted to accommodate others. Our Treasurer had been generous again with prizes awarding the top 7 with winning vouchers. 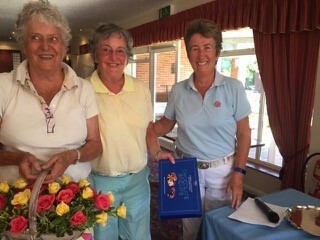 Dorothy Shore of Bramshaw and Pat Geary from Royal Winchester had been club house leaders for most of the day on a magnificent 39 pts but it was local Wellow pair Viv Jolley and Val Holdaway coming in with an equalling score but just getting the Salver on count back by 1 point!